Product prices and availability are accurate as of 2019-03-28 04:44:46 EDT and are subject to change. Any price and availability information displayed on http://www.amazon.com/ at the time of purchase will apply to the purchase of this product. 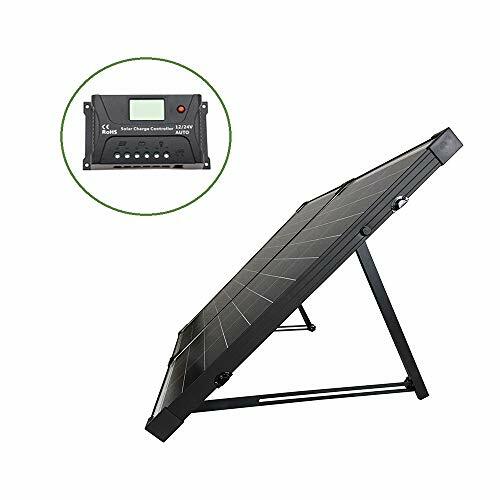 HQST 100W Polycrystalline Solar Suitcase is a plug and play system. With an HQST 20A PWM Controller, and 10 feet of wiring separating your controller and battery you will have nothing to complain about. The 20A controller is compatible with 12V and 24V systems and has an easy to read LCD display. Thanks to the integrated temperature sensor, charging for your batteries is more accurate since it automatically accounts for proper temperature compensation. 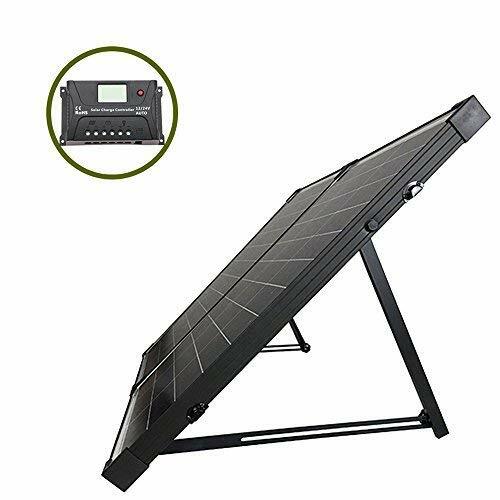 The HQST100W Polycrystalline Solar Suitcase is integrated with highly efficient polycrystalline panels, sturdy aluminum stands, and a handy traveling bag, making this a perfect portable solar system. 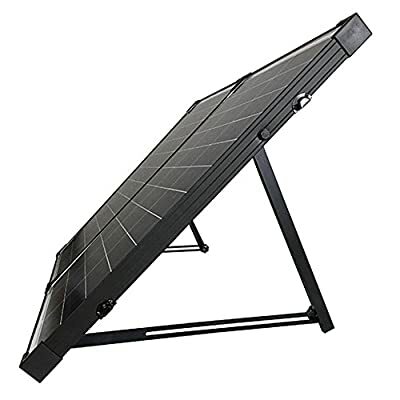 The HQST100W Polycrystalline Solar Suitcase is integrated with highly efficient polycrystalline panels, sturdy aluminum stands, and a handy traveling bag, making this a perfect portable solar system. With an HQST 20A PWM Controller and 10 feet of wiring separating your controller and battery you will have nothing to complain about. Thanks to the integrated temperature sensor, charging for your batteries is more accurate since it automatically accounts for proper temperature compensation. The 20A controller is compatible with 12V and 24V systems and has an easy to read LCD display. 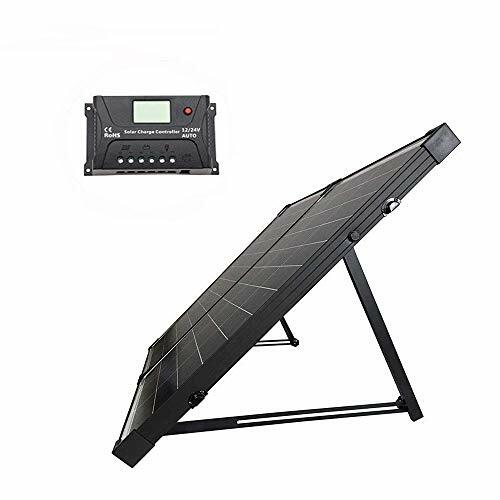 HQST 100W Polycrystalline Solar Suitcase is a plug and play system.